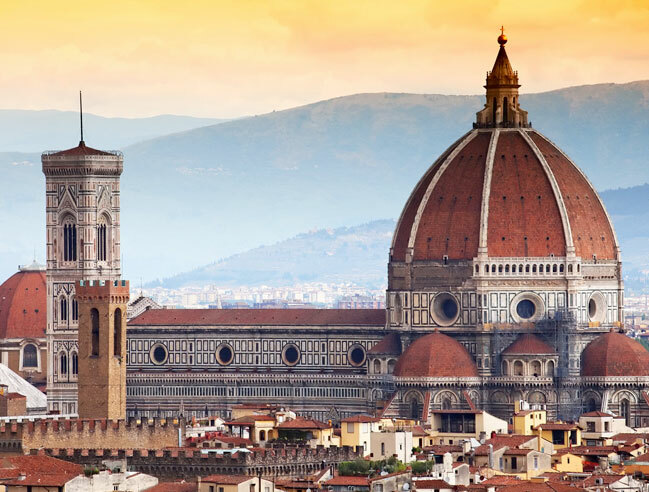 Santa Maria del Fiore is the main church of Florence, or Il Duomo di Firenze, as it is ordinarily called Italy, was begun in 1296 in the Gothic style to the design of Arnolfo di Cambio and completed structurally in 1436 with the dome engineered by Filippo Brunelleschi. The exterior of the basilica is faced with polychrome marble panels in various shades of green and pink. 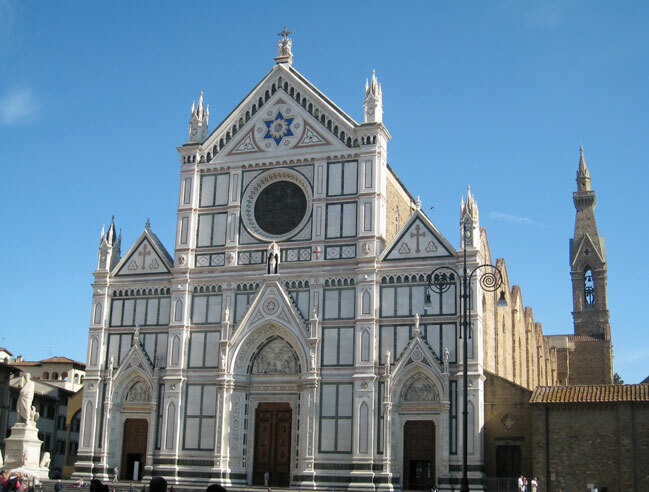 Chiesa di Santa Croce, holding the tombs of Michelangelo, Machiavelli and Galileo. 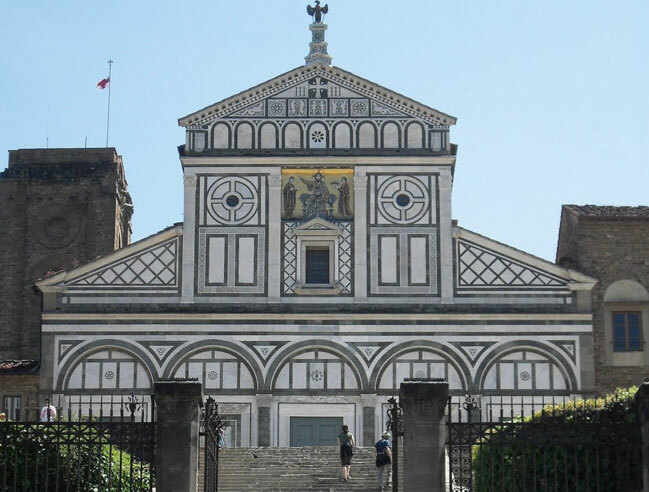 The Basilica of San Miniato al Monte, built in the 11th century, offering the most splendid views of Florence. 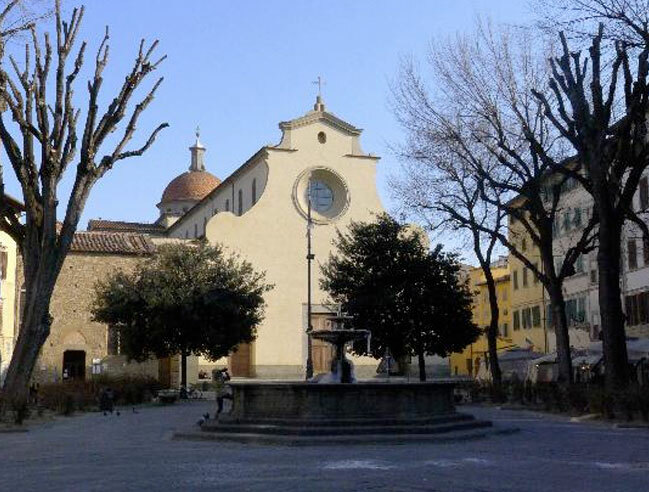 The Basilica di Santo Spirito, one of the main churches in Florence, situated in the district of Oltrarno. 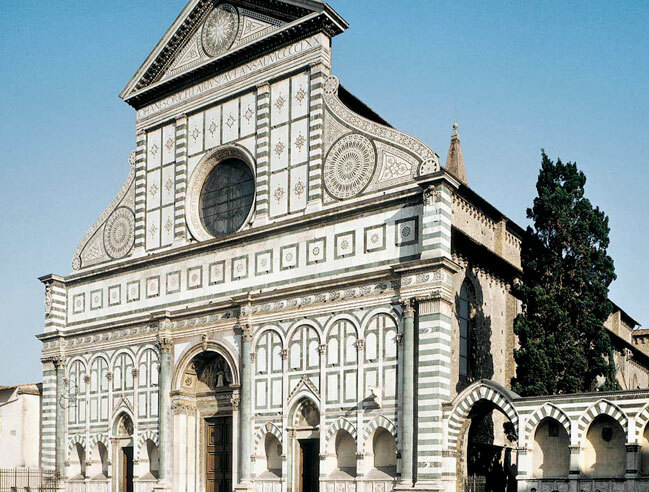 Santa Maria Novella, one of the most important cathedrals of Florence, with its marble facade of the Florentine Renaissance. 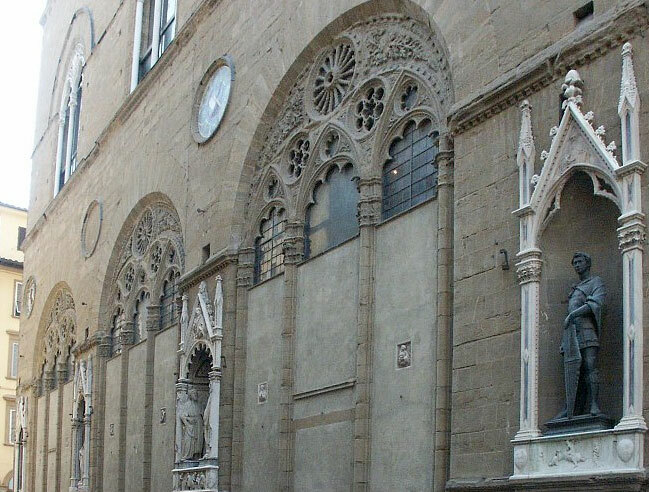 Orsanmichele, a loggia was originally built for the market of the "grain" and later transformed into a church of Arts.